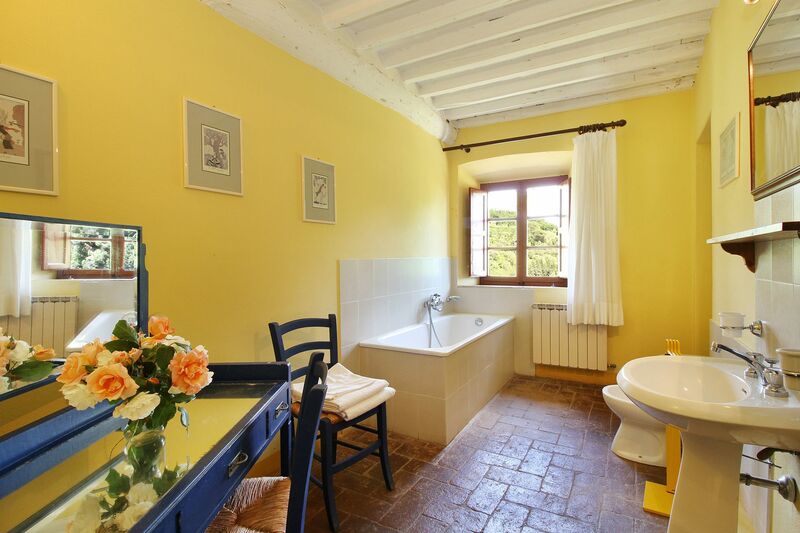 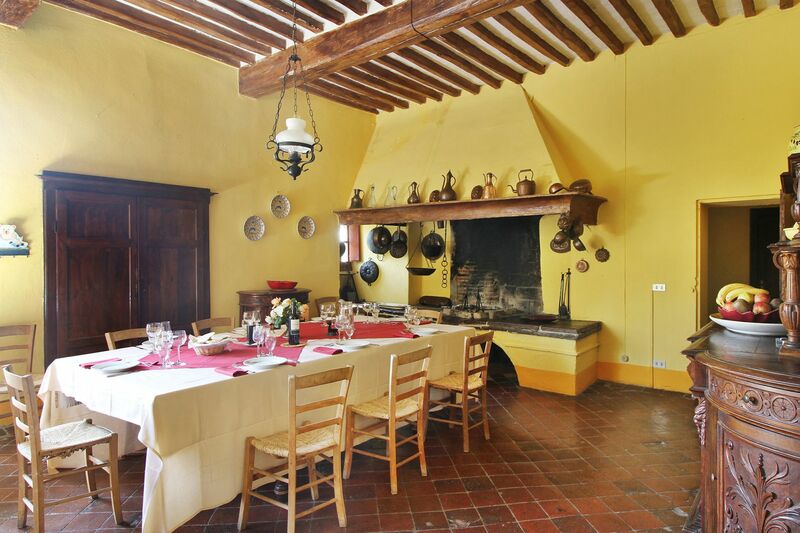 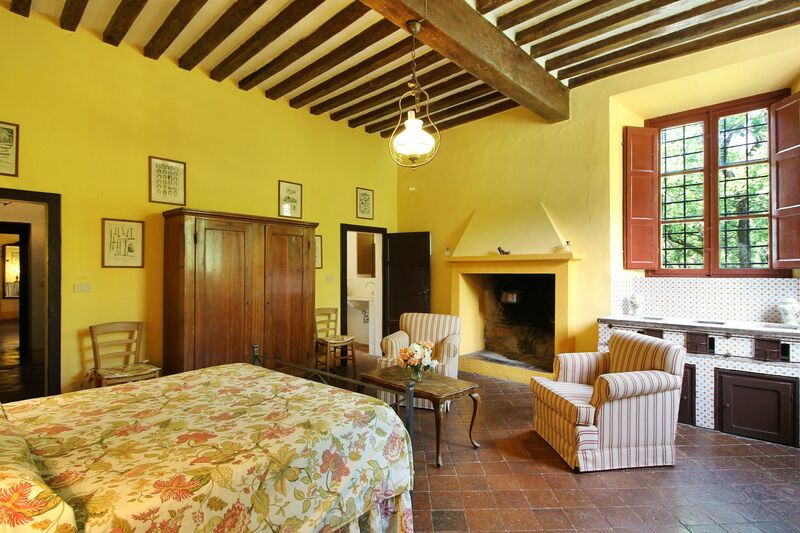 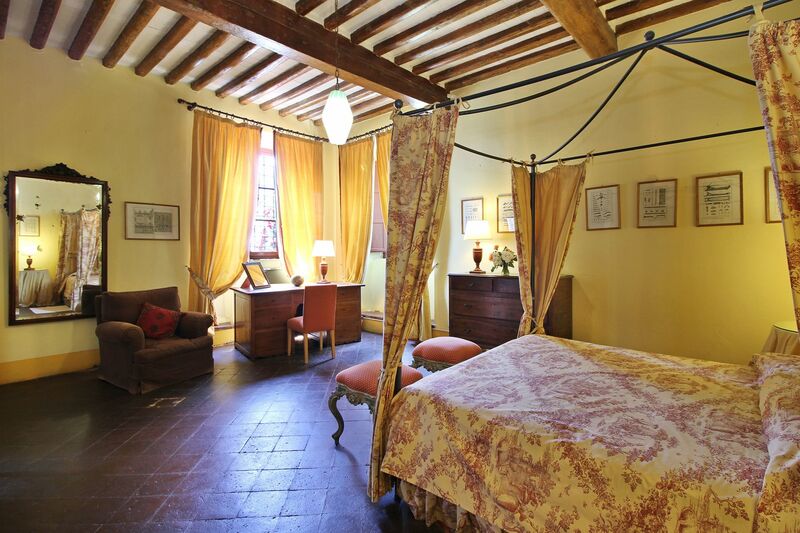 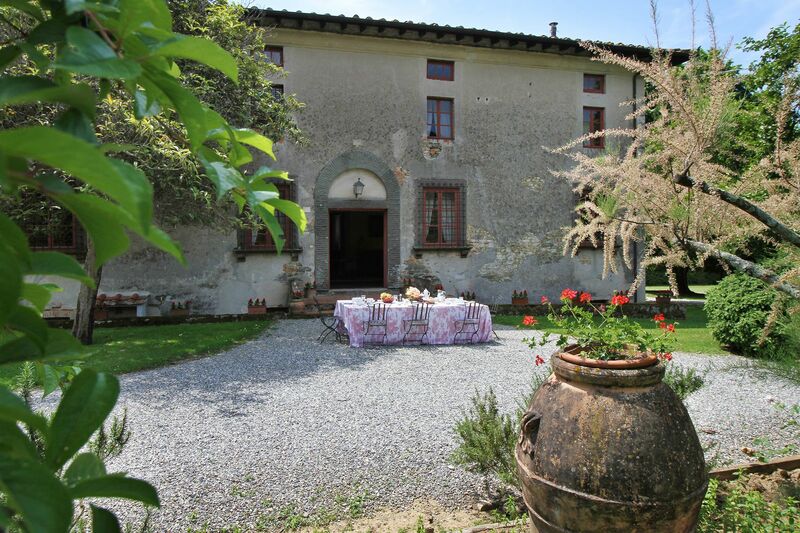 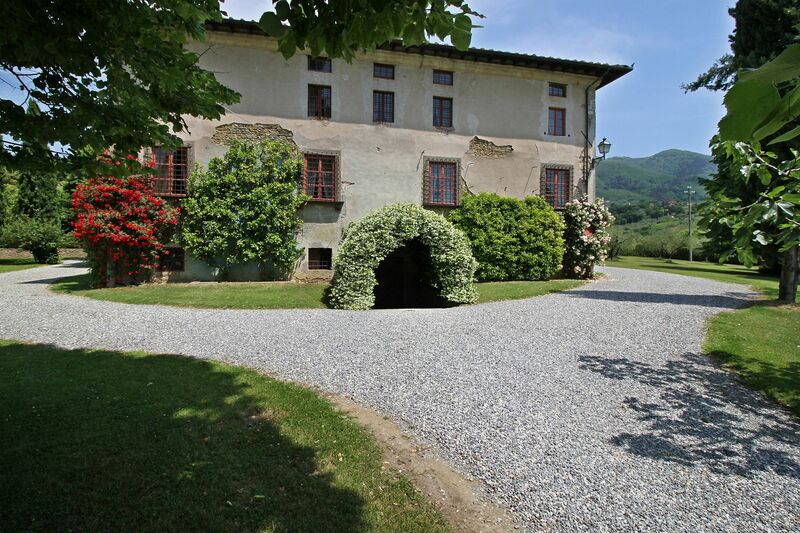 This 16th century historical villa with private swimming pool is part of a beautiful and well-kept estate producing one of the best extra virgin olive oils in Lucca. 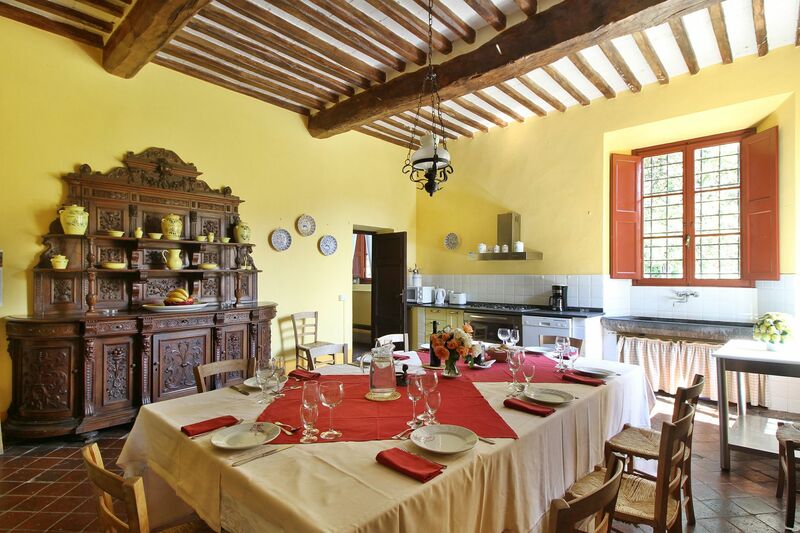 The estate English speaking staff is available to organize cooking services, cooking classes and to provide any other support required by clients during their stay. 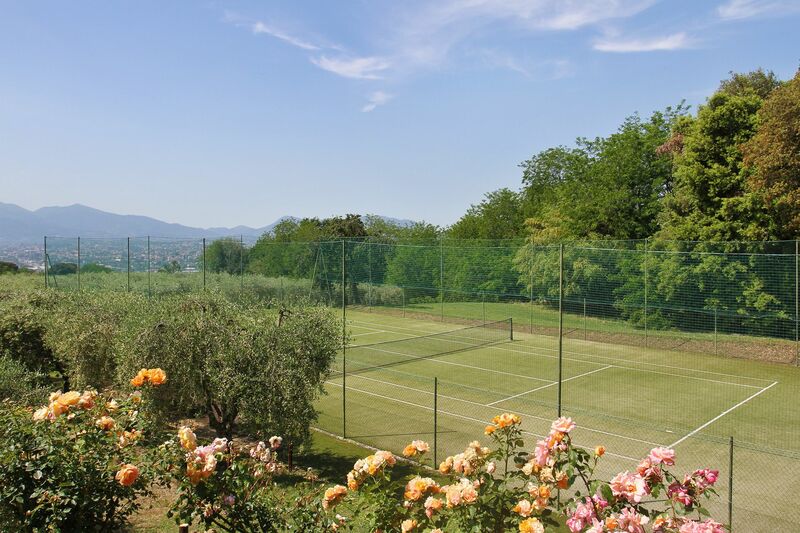 Furthermore, there is also a tennis court on the estate available to travellers staying at Buonvisi. 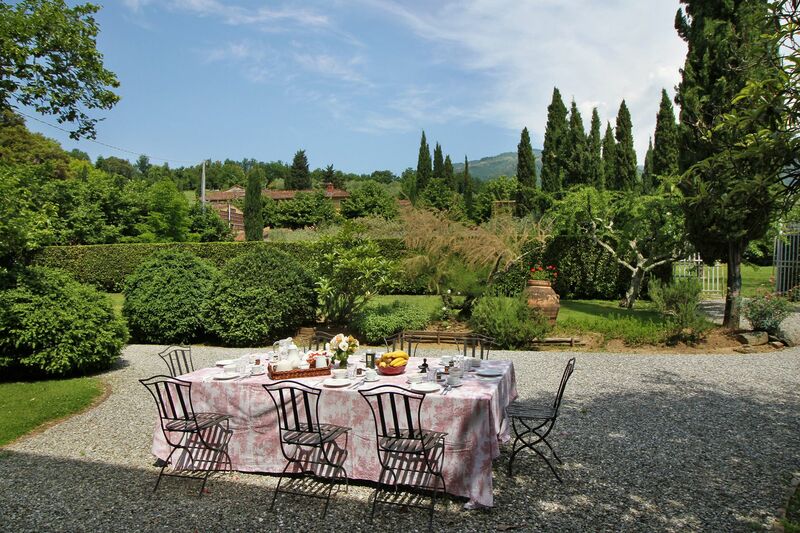 The garden has been furnished with many outside shaded sitting areas for al-fresco dining while the swimming pool is set in a panoramic position, overlooking the plain of Lucca. 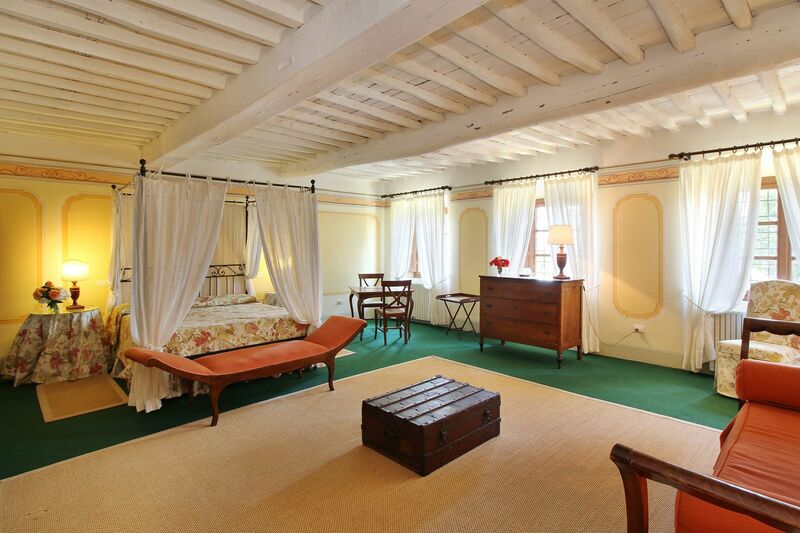 Guests staying here will be able to enjoy their holiday in a noble home that has been recently restored in order to provide guests with many 21st century comforts. 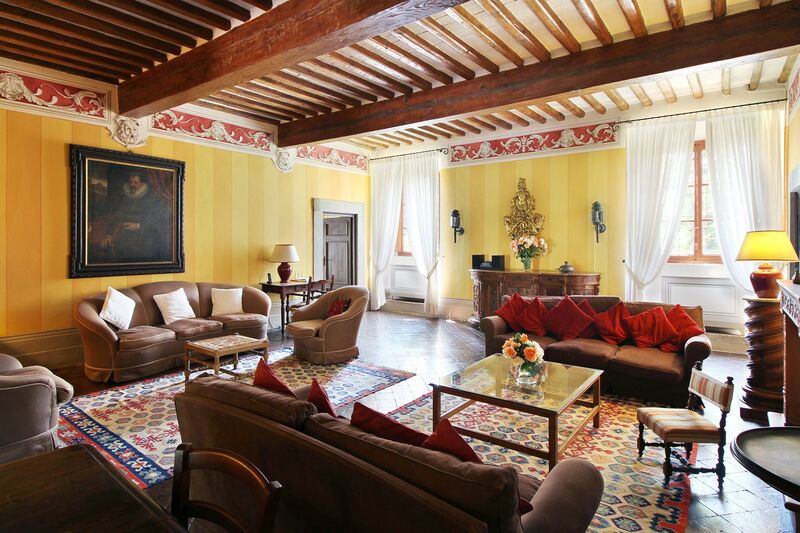 All the traditional aspects of the villa have been well preserved, especially the beautiful cotto floors, beamed ceilings and antique fireplaces. 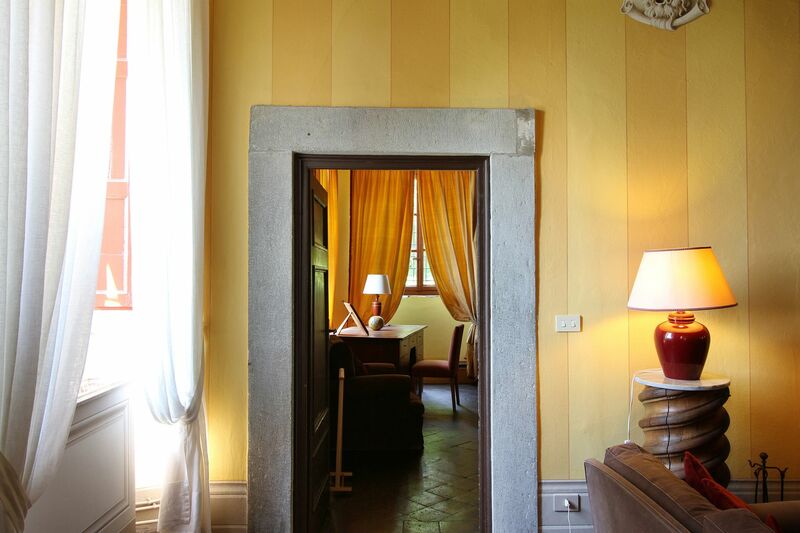 Among the most preferred rooms there is the very large kitchen with a beautiful fireplace, where to enjoy meals also during winter, as well as the comfortable large sitting room. 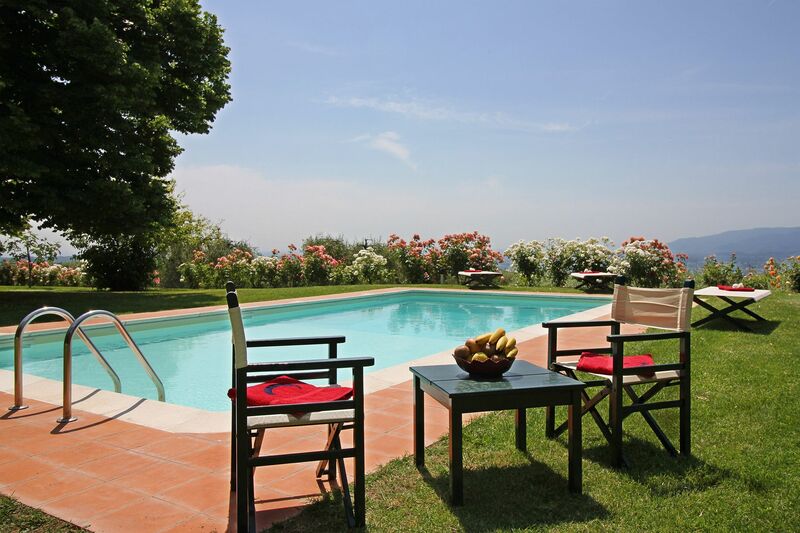 The villa has Wi-Fi, satellite TV, DVD and hi-fi system. 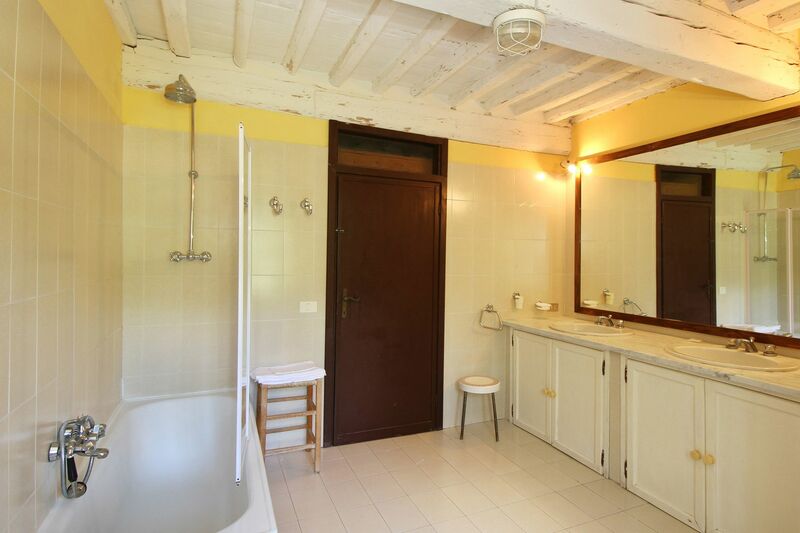 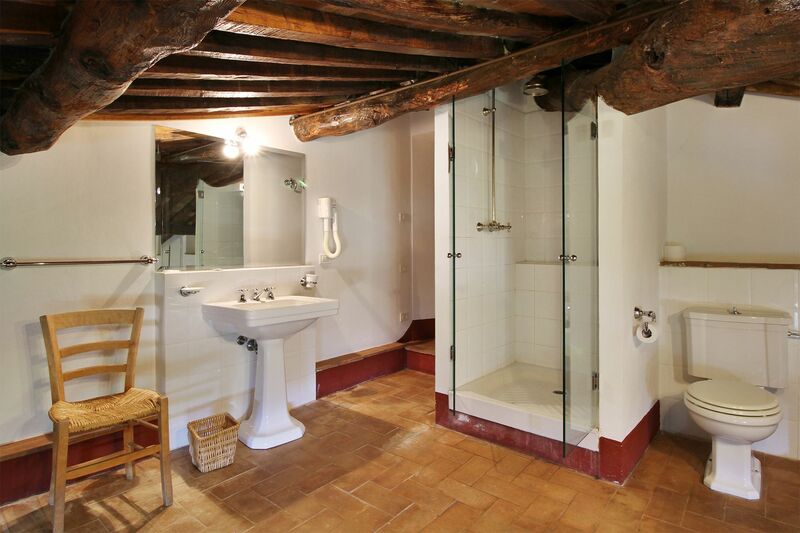 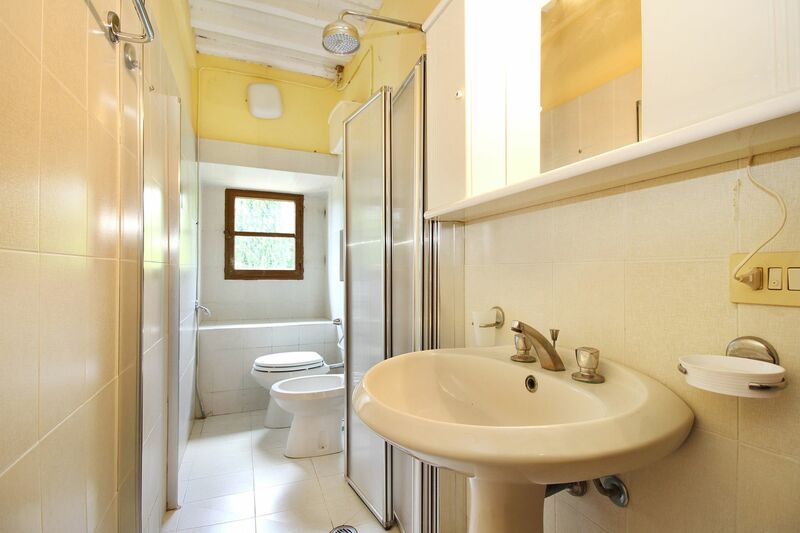 There are 8 bedrooms all with en-suite bathrooms spread over 2 floors. 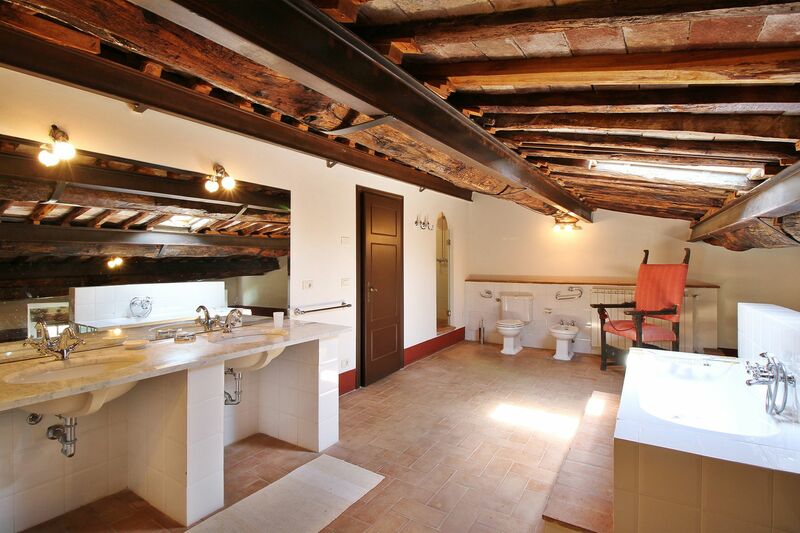 On the ground floor, there are two large double bedrooms ideal people looking to avoid climbing stairs during their holidays. 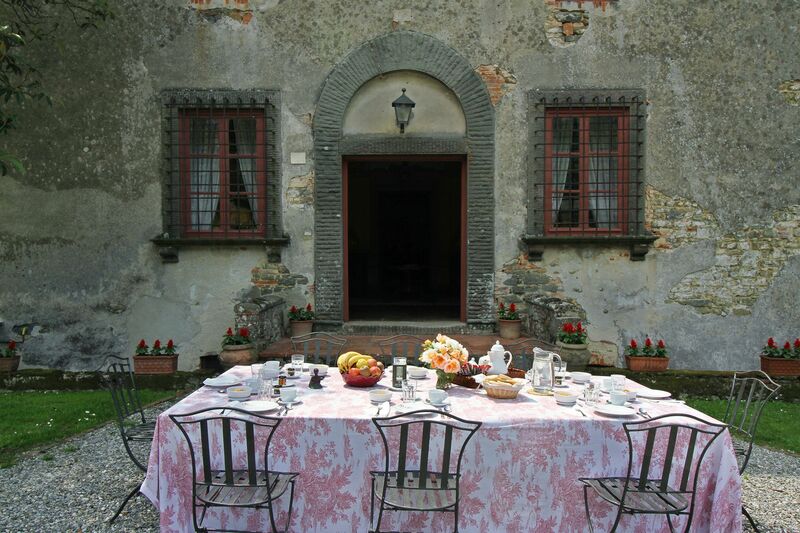 Buonvisi is set in an ideal place for those looking to explore Tuscany, as well as being close by shops. 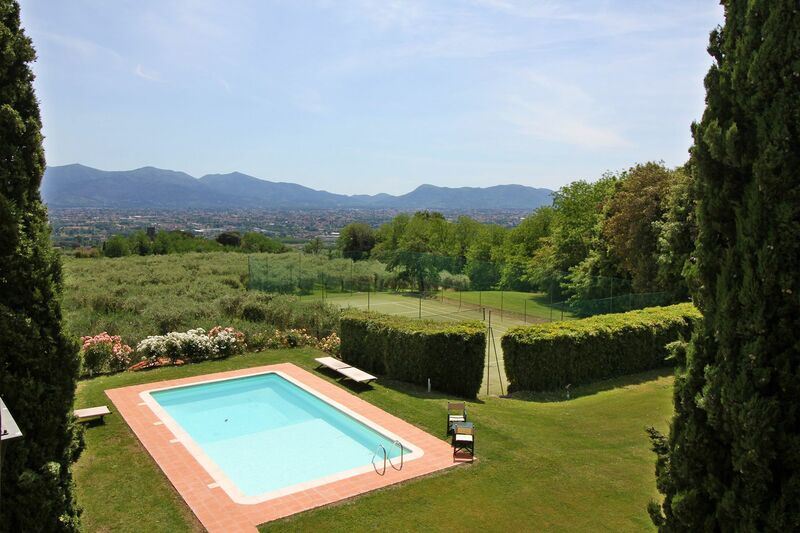 The stunning city of Lucca is just 12km away from the estate while renowned Versilia Coast with its many coastal towns - Forte dei Marmi, Pietrasanta, Viareggio - is a short drive away. 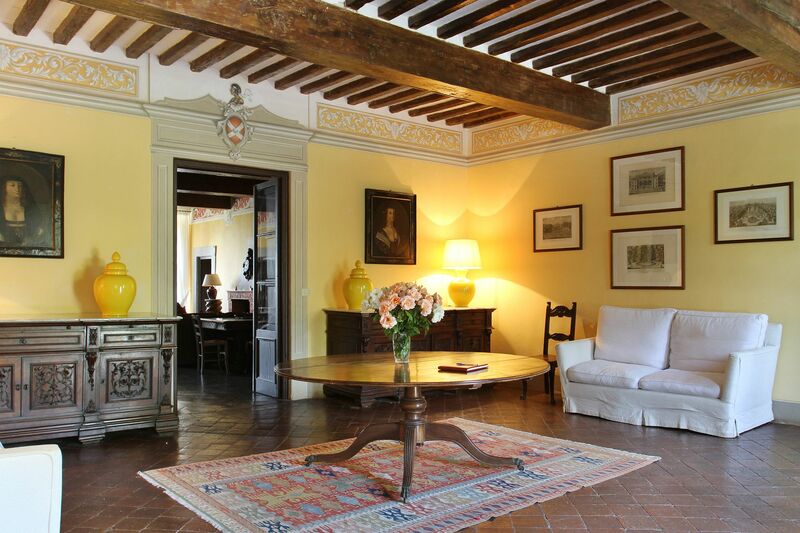 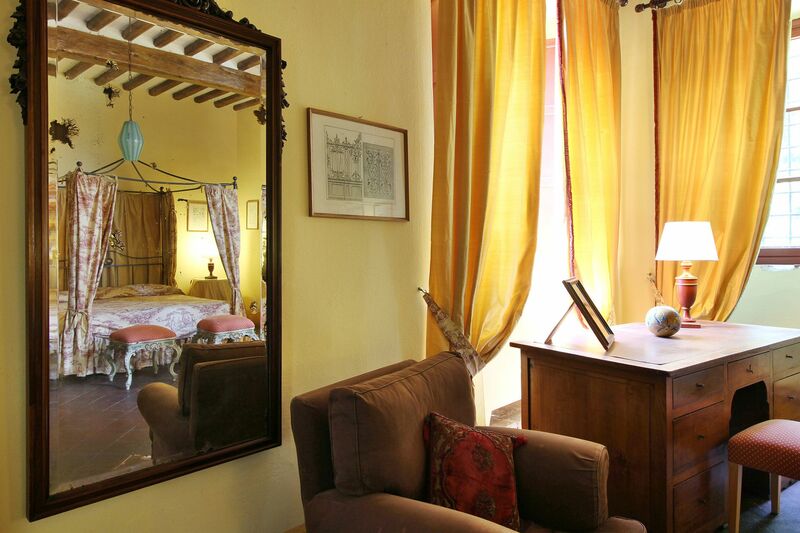 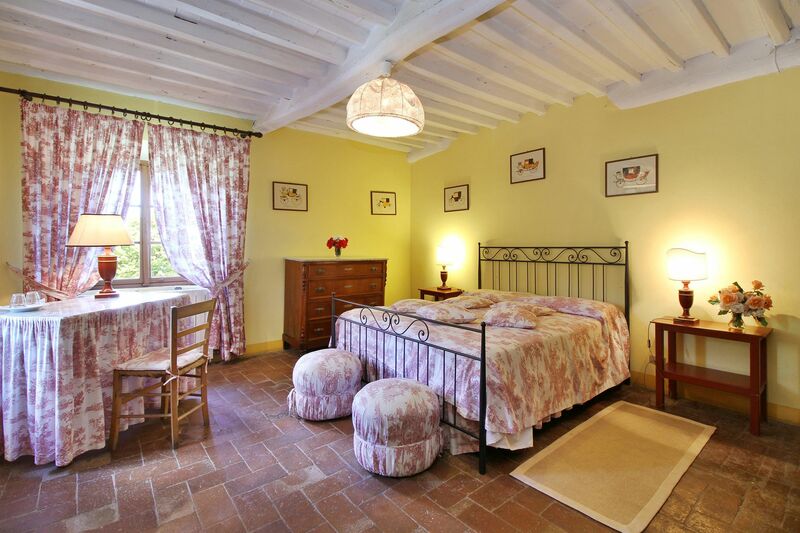 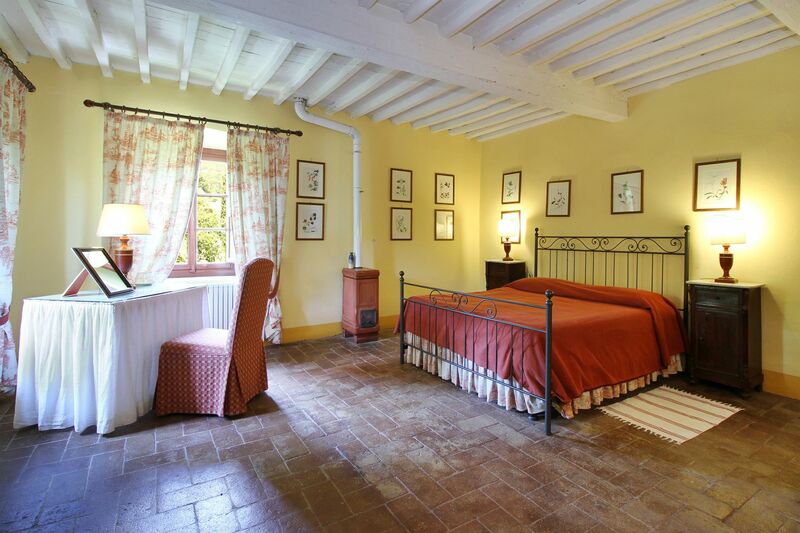 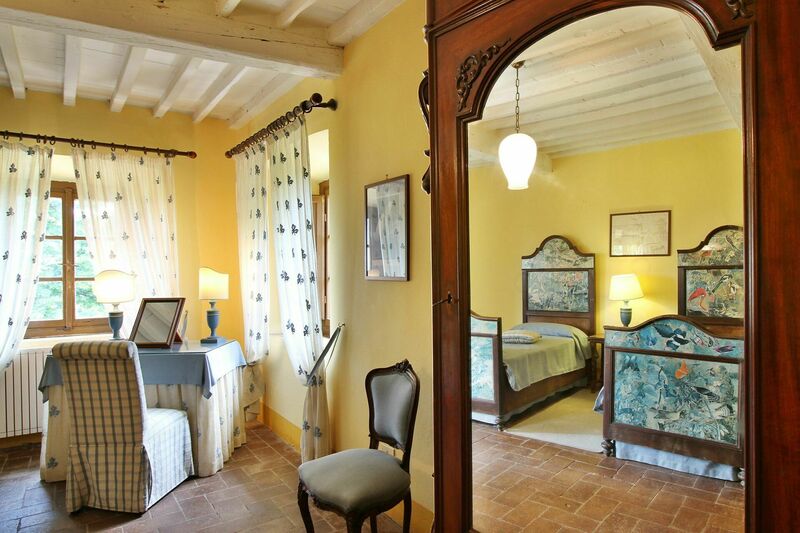 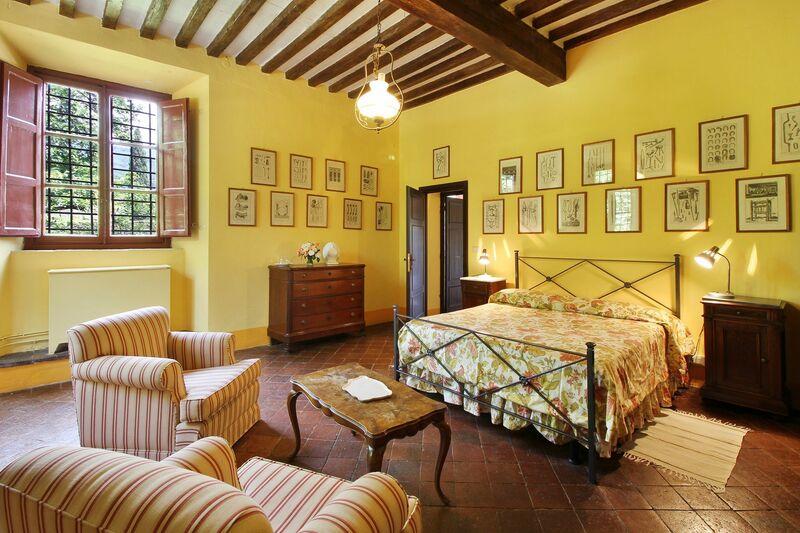 The estate is also extremely close by the most famous historical Lucchese villa and 37km away the airport of Pisa. 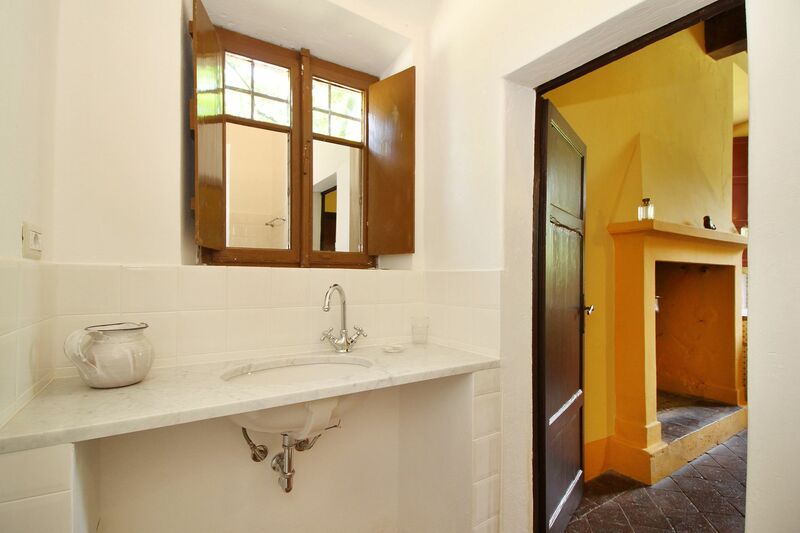 Maid service is included 2 hours per day, 5 days per week. 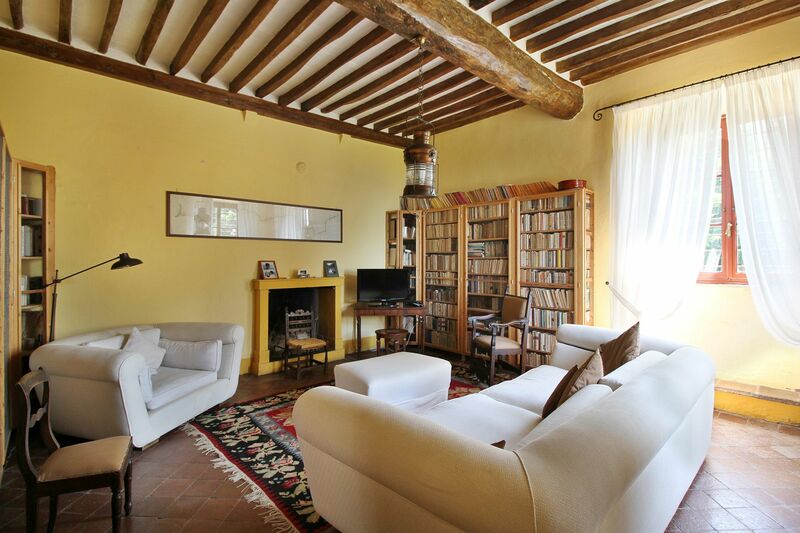 Entrance; large kitchen with fireplace; sitting room with fireplace, library with fireplace, 2 double bedrooms with bathroom en-suite (one with shower and one with bathtub). 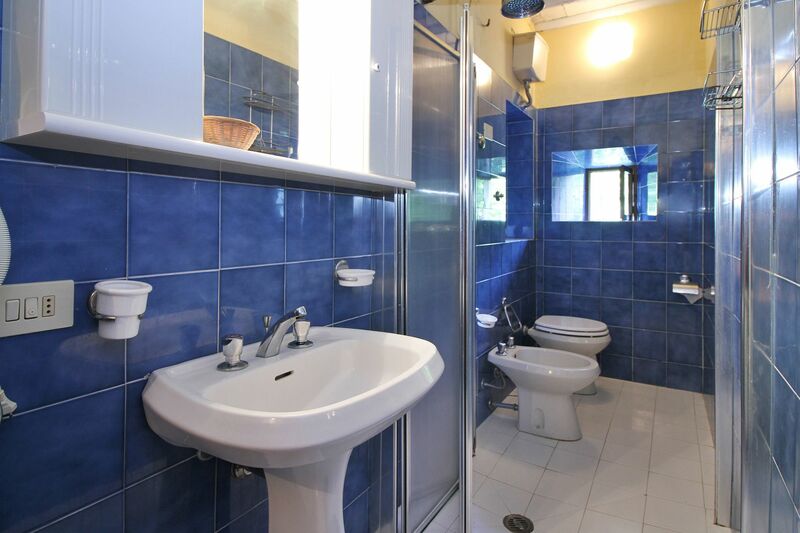 Master bedroom with en-suite bathroom (bathtub with separate shower), 2 twin bedrooms with bathroom en-suite (1 with shower and one with bathtub with shower), 3 double bedrooms with bathroom en-suite (2 with shower and one with bathtub), laundry room.